THE HISTORY OF RISING STAR LODGE NO. 126 The Right Worshipful Grand Master, Bro. J. Henry Williams at the time R.W. Senior Grand Warden of the Grand Lodge of Pennsylvania, in his admirable and illuminating Historical Address, delivered before the Grand Lodge, on the occasion of the celebration of the One Hundred and Twenty-Fifth Anniversary of its Independence, thus describes the Establishment of Freemasonry in Pennsylvania. CHAPTER I: THE ORIGIN OF FREEMASONRY IN PENNSYLVANIA “Some historians trace our origin to the remote past; others to the Grand Lodge established at York, England, by Prince Edwin in 926. “On account of limited time, we must begin this recital of our Masonic History with two comparatively recent Grand Lodge of England, from which we derive our authority; the one established in 1717 known as the ‘Moderns’; the other formed in 1753 known as the ‘Ancients.’ “The ‘Ancients’ were originally seceders from the ‘Moderns,’ but in 1813 these two reunited and constitute the present Grand Lodge of England. “On June 5, 1730, this Grand Lodge of ‘Moderns’ granted a deputation to Daniel Coxe as Grand Master and to others residing in New York, New Jersey and Pennsylvania, to open a Provincial Grand Lodge in their home provinces. “the first warrant issued by this Provincial Grand Lodge was no other than the Lodge of St. John here in Philadelphia, which had already been in existence some years before the deputation was granted to Daniel Coxe. In due time were granted to other Lodges. “Lodge No. 4 of the ‘Moderns’ (the present No. 2) petitioned London’s Grand Lodge of ‘Ancients’ for a warrant which was granted and bore date June 7, 1758; it was received in Philadelphia in January 1759, and duly read at a meeting of the Lodge held on the twenty-third day of the same month. Later they petitioned for a grant warrants, which was issued July 15, 1761, but it never reached its destination. A second had the same fate, but the third grand warrant issued June 20, 1764, reached Philadelphia late in 1764 or early in 1765, “Of this first Provincial Grand Lodge of the ‘Ancients’ William Ball was Grant Master. “Philadelphia at this time was possessed of two Grand Lodges – the ‘Moderns’ and the ‘Ancients.’” The “Moderns” in their adherence to the English cause, became depleted in numbers, and finally disappeared in 1793, many of them uniting with the ‘Ancients.” The War of the Revolution having resulted in the establishment of the United States of America as an independent nation, the Grand Lodge of Pennsylvania declared its independence of all foreign jurisdiction on Monday, September 25, 1786. When the action of the Grand Lodge of Pennsylvania had been communicated to the Grand Lodge of England, a most fraternal reply was received, containing one of the noblest, manliest utterances ever formulated, “Here we must beg leave to state that we conceive that in constituting your Grand Lodge we necessarily communicated to it the same independent sovereign Masonic authority within your jurisdiction which we ourselves possessed within ours, amenable to no superior jurisdiction under heaven, and subject only to the immutable Landmarks of the Craft.” “Daniel Coxe, Grandmaster of New York, New Jersey and Pennsylvania, an Associate Justice of the Supreme Court of New Jersey whose remains lie in front of the pulpit in Old St. Mary’s Church, Burlington, New Jersey. Of the Philadelphia Brethren – John Penn, the Proprietor, James Hamilton, early Governor of the Province, Chief Justice William Allen, Mayor Humphrey Murray, Judge Thomas Hopkinson, Benjamin Franklin, William Smith, Provost of the University of Pennsylvania, Thomas Cadwalader, William Ball, First Provincial Grand Master of the Ancients, Stephen Girard, Hyman Solomon, who donated a fortune to the American cause in the Revolution, and John Dunlap, who first printed the Declaration of Independence, and gave £4000 for the American Army. “From Brother George Washington to Brother William H. Taft, fourteen presidents of the United States have been members of the Craft. 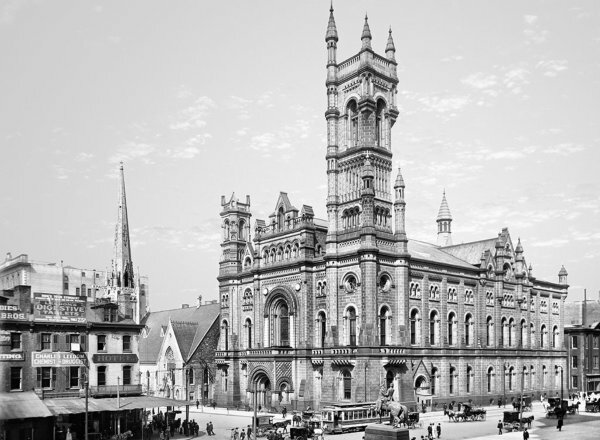 “At the formation of the present Grand Lodge there were fourteen Lodges in the State, with a membership difficult to compute. A new life was now infused into the Fraternity; applications for Warrants were made, and many new Lodges were constituted, to which it is not necessary to refer for our present purpose. The Minutes of the Quarterly Communication of the Grand Lodge, under date of June 3, 1793, contains the following records, ‘A petition was read from a number of brethren resigning in Philadelphia, praying, praying for a Warrant to hold a Lodge in this City, to be called Washington Lodge; whereupon, on motion seconded, the prayer of the petitioners was granted, and the Grand Secretary was directed to make out the same.” On St. John’s Day, June 24, 1793, Washington Lodge, No. 59, was constituted by R.W. Grand Master Bro. 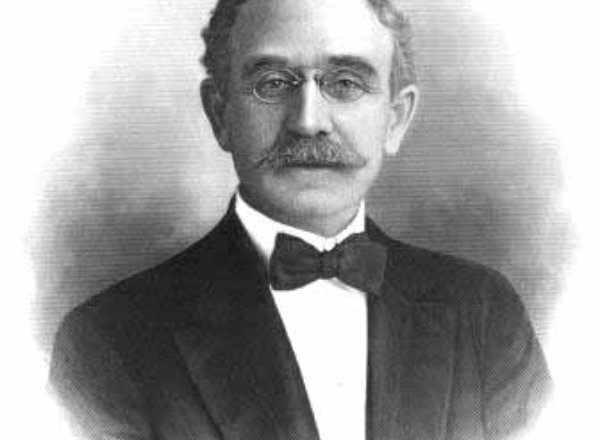 John Bayard Smith, Esq. CHAPTER II: CONSTITUTION OF THE LODGE The close of the eighteenth and the beginning of the nineteenth centuries was a period of business and social depression in the City of Philadelphia, owing to the removal of the seat of the National Government to the District of Columbia. This, however, did not seem to affect the growth of Freemasonry in any marked degree, as is evidenced by the number of those initiated into its mysteries and the multiplication of its Lodges. Washington Lodge, No. 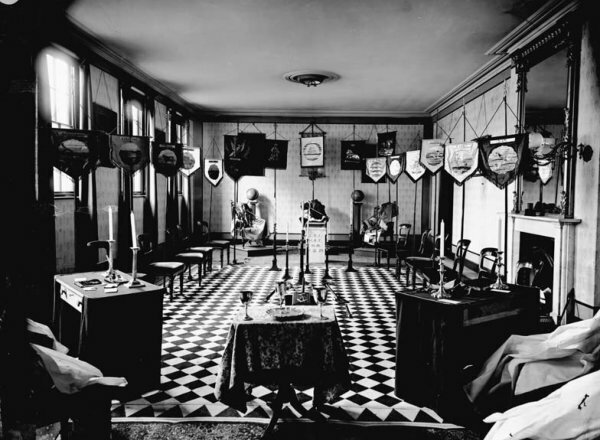 59, in the jurisdiction of the Grand Lodge of Pennsylvania, was so greatly favored that in the opinion of some of its members, ‘The membership had become too numerous for working,’ and they resigned in the year 1810, for the purpose of forming a new Lodge. It is to be presumed that this was also the reason for the exodus of 1801, which resulted in the Constitution of Columbia Lodge, No. 91, and later, in the withdrawal of ten members from Columbia Lodge, to form Rising Star Lodge, No. 126. This line of descent is rendered more interesting and important by the fact that Brother Hennessy, who was the leading spirit in the organization of Rising Star Lodge, had been an active member in the older Lodges, and had served both, in the capacity of Worshipful Master. He was still further honored by being made Worshipful Master of the new Lodge. It is fair to assume that Rising Star Lodge began its existence under the most favorable auspices, having the benefit of the wisdom and experience of one who, in the brief period of eleven years, had been Master of three different Lodges, and during that time had spent five years in the Oriental Chair. The movement resulting in the formation of Rising Star Lodge was inaugurated at the regular stated meeting of Columbia Lodge, No. 91, on Monday, December 24, 1810, by the presentation of the following petition: ‘The Worshipful Master, Wardens and Brethren of Columbia Lodge No. 91,’ ‘The petition of the subscribers, members of said Lodge respectively showeth: that your petitioners wishing further to promote the interest of Masonry, and with a view to establish a more general circulation of the genuine principles of the craft, have agreed to associate themselves for the purpose of applying to the Right Worshipful Grand Lodge of the State of Pennsylvania for a warrant to enable them to work as a distinct and separate Lodge. ‘They, therefore, beg leave to tender you with their resignations of membership to your Lodge, and to assure you, the Worshipful Master and Brethren, that nothing can afford them more heartfelt satisfaction and happiness than to hear of your prosperity and happiness individually and collectively; and will always cherish those sentiments of respect for you which children feel for their beloved parents. ‘They at the same time respectfully request a recommendation from your Lodge for obtaining the said Warrant, (Signed) 1) Thomas Hennessy 2) John S. Willett 3) Michael H. Anthony 4) Humfhrey Atherton 5) Thomas J. Matthews 6) Jos. Brognard 7) Benj. Williamson 8) J.W. Simonton 9) Michael Nisbet 10) Thomas Y. Willis The original petition, of which the foregoing is a copy, is still in existence in the office of the Right Worshipful Grand Secretary. Our Warrant Members, no doubt well versed in the methods of procedure, lost no time in presenting their petition to the Grand Lodge, for we find the following record in the proceeding of the Adjourned Grand Quarterly Communication of Friday, January 25, 1811: ‘A petition was received from divers Ancient York Master Masons, praying for a warrant for holding a new Lodge, in the City of Philadelphia, under the name of ‘Rising Star Lodge,’ and that Bros. Thomas Hennessy, Esq., might be named Worshipful Master, Bro. Maurice Wurts, Senior Warden, and Bro. Michael Nisbet, Junior Warden of the same, and also praying that the Third Monday in every month, which is now appropriated to the Grand Lodge, may be granted to them for holding their meetings. ‘Which petition being in regular form and duly recommended by Columbia Lodge, No. 91, (whereof the petitioners were members) it was ‘On motion made and seconded, ‘Resolved, that that part of the Prayer of the petitioners praying for a Warrant be granted and that Br. Grand Secretary make out a Warrant accordingly and that the same be numbered 126. ‘On motion made and seconded, ‘Resolved, that that part of the prayer of the petitioners praying for a grant of the Third Monday in every month for holding their meetings be granted to them for the time this Grand Lodge shall remain in the Old Hall.’ The original petition to the Grand Lodge is on file in the Grand Secretary’s Office. At an extra Grand Communication, held Monday, eighteenth of February, 1811, in ‘Pennsylvania Freemason’s Hall,’ the R.W. Grand Master, Brother James Milnor, announced that is was convened for the purpose of constituting Rising Star Lodge, No. 126. The Warrant was presented by the Grand Secretary, and read. The officers named in the Warrant and other officers elected were then installed, and the Lodge fully Constituted in Ancient and Solemn Form. Twenty-five Lodges were represented in the attendance upon the occasion.